Ambitious Tohoku League outfit Grulla Morioka are in crisis, following the resignation of their entire executive committee at an extraordinary general meeting held in Morioka just before Christmas. This has left supporters fearing that players will leave the club and render useless any promotion challenge that Grulla might be able to put together for 2006. These dramatic events come a month after the team's failure to win a place in the JFL, having finished joint top of the Tohoku League Division 1, famously tied dead level with TDK Akita. But coach Shinichi Muto subsequently handed in his own resignation - as reported here on JNFN - and fans will be fearing that the collapse of Okinawa Kariyushi in comparable circumstances may end up being repeated in the north. Gunma prefecture's FC Horikoshi are currently asking for fans' suggestions for a new team name as they aim for a J-League place in the coming seasons. 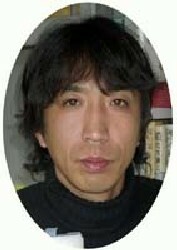 Horikoshi, who finished eighth in 2005, are one of several JFL sides keen to make the step up to J2 and regard the adoption of a new name as a further stage in their development to becoming a pro club. All suggestions are to be sent to the club by 7th January and the person making the winning proposal will be presented with a season ticket for life. Having run Shizuoka FC so close in the league campaign of 2005, two players from Tokai League Division 1 side Chukyo University have now made the jump to the pro ranks of the J-League itself in the close season shuffling of squads. Tsutomu Matsuda is a 22-year-old centre back, formerly part of the youth set-up at Nagoya Grampus 8, who moves all the way to J1 with shock newcomers Ventforet Kofu. Going back to his old hunting ground, meanwhile, is midfielder Ryosuke Amo, returning to Tokushima Vortis having previously been a youth player at the Shikoku-based J2 club. 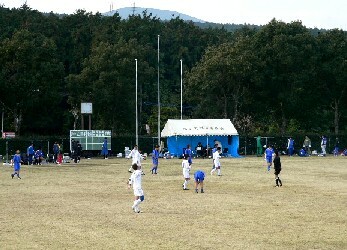 Fuji Club 2003 and Hachinohe Kogyo High School OB are therefore promoted to Tohoku League Division 2 (North) for 2006. 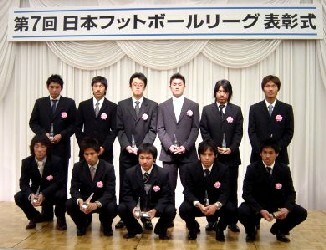 TDK Shinwakai are therefore also promoted to Tohoku League Division 2 (North) for 2006. 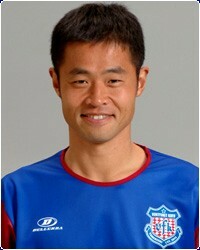 Attacking midfielder Kenichi Ego has made the move from JFL side SC Tottori to J-League new boys Ehime FC. 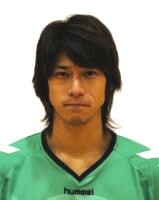 26-year-old Ego began his career with Nagoya Grampus 8's youth side before attending university and subsequently made a single J-League appearance during 2002 for Ventforet Kofu. 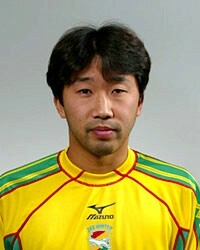 He then spent three years with Tottori as a first-team regular, scoring eighteen goals in eighty games. 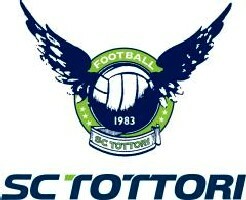 SC Tottori have announced their intention to aim for J2 membership in 2008. The team finished in twelfth place in this season's JFL, an improvement on last year's fourteenth but neverthless below the eighth spot that had been set as a target at the beginning of 2005. Conformation of their ambition, however, does not come as an surprise, although it was expressed in terms of being a modification of the club's objectives. 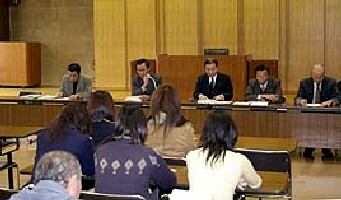 These aims have until now revolved around matters such as the promotion of sportsmanship through competition, the development of sport and of friendship between members of the club - but now encompass matters more broadly beneficial to the people of Tottori prefecture, in the sense that the club seeks to act as a focus for their hopes of success. 2006 will therefore see SC Tottori redouble its efforts to provide a sponsored training programme for kids in the area, as well as working towards the development of a corporate body with the financial ability to support J-League activity. The Tottori Bird Stadium is already in place as a suitable facility for use at J-League level, but some work will nevertheless still be required to enable J2 football to be played there regularly. Training areas will also be need that can support an increased amount of use. The most important aspect, however, is of course finiancial. Sponsorship raised for the club in 2005 about 13,000,000 yen - whilst 300,000,000 is generally thought to be a suitable equivalent figure for a J2 team. The club management are therefore working towards a position where they can absorb additional costs of 50,000,000 yen by the middle of January 2006. But despite the extra financial pressures, a club spokesman expressed the view that the project of bringing J-League football to one of Japan's quieter prefectures - on the Japan Sea coast, near the southern end of Honshu - would be worthwhile. "We think that this is something that will benefit people living in Tottori prefecture," he said "There will be sacrifices required over the coming years and so we ask for the co-operation and support of everyone." 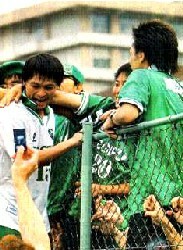 Tochigi SC - Best 10 Events Of 2005! Sanwa Club therefore retaing their place in the Shikoku League for 2006, while Tokushima Vortis Caballos are promoted from the Tokushima Prefectural League. Reeling from their last place finish in the JFL, newcomers from the Chugoku League Mitsubishi Mizushima have been looking back at the club's first ever season in the third tier of Japanese club football, describing it collectively as having been "an ordeal". With two wins and two draws in thirty matches, the Okayama prefecture-based club ended up with just eight points and indeed on two separate occasions during the campaign they endured an eleven-game losing streak. Having begun the year with four defeats, Mizushima then scraped a 4-3 thriller at Honda Lock, thanks in the main to a hat-trick from star striker Daisuke Matsuoka. This triumph was then followed by draws against Denso and SC Tottori, and it seemed for a brief period as if the club was finding its feet. But it was a false dawn indeed, and only one more match throughout a long season resulted in anything other than a defeat. In the preceding close season, however, the squad had been increased, with the overall staff of the club swelling to as many as fifty people. 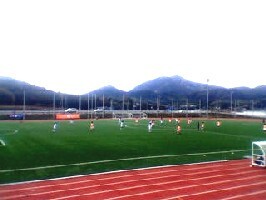 On the playing side, a policy was adopted of selecting for each match whichever squad members were at the peak of fitness and it appears that this idea instead brought about a lack of understanding amongst the players, as no-one was allowed to develop experience of playing the system - "man for man, we're not at a lower level to other teams in the JFL," commented defender Kazunori Miyake. "Our problems this year have related to team strength and organisation." A further difficulty came about due to the fact that a large number of the players are employees of Mitsubishi Motors and have found it physically very demanding to cope with playing JFL football on top of ten-hour night shifts in the factory. Mental problems, too, came about because in 2004, the team were regarded in the Chugoku League as invincible and naturally found it disheartening to move into a situation where wins were so much harder to come by. 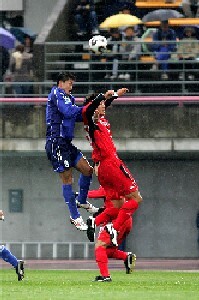 During the second half of the season, a tactical change was made to pack the midfield more and so aim towards a more attacking style and, although results failed to improve, the players felt that they were more able to get into attacking shapes and put the opposition under pressure, with players such as Matsuoka and midfielder Toshiya Yamashita coming to the fore. "We have to use this season as an experience, a learning curve," said Yuuki Watanabe, vice-captain and a member of the over-stretched Mitsubishi defence. "It's important that we improve the quality of our training, because next season there are two more teams in the JFL and there's the threat of relegation in an eighteen-team league. 2006 is a really vital year for us." The JFL have announced their Best Eleven team of the year for 2005, with players from six different clubs winning a place in the side. Champions Ehime FC and runners up YKK AP are each represented by three players - including overall Player of the Year, Ehime midfielder Kazuhisa Hamaoka - while Hiroki Kishida, YKK AP's young striker, won Rookie of the Year. Alo's Hokuriku's fine defensive record sees them take up two of the back four positions and Honda FC, who slumped to a disappointing fifth place finish, have star midfielder Jun Uruno included alongside Tochigi SC's Toshiaki Hotta and the league's top scorer - Hirokazu Otsubo of Sagawa Kyubin Osaka also finds a place in the team. With two of the favourites and two dark horses having made it through from the Regional League Championship Winners Play-off First Round, the eyes of all fans of the non-league game in Japan have been on the Momotaro Stadium in Okayama over the weekend, to see Kyushu's FC Ryukyu and Rosso Kumamoto battle it out with JEF United Amateurs from Kanto and Kansai's Banditonce Kobe for the three available spots in the JFL for 2006. Friday saw JEF United Amateurs take on and beat Banditonce, their former Sagawa Kyubin Tokyo forward Higuchi putting them ahead just before half time and Saito making it 2-0 with nine minutes to go. The second game on the same day, however, was the big match - the Kyushu derby game between Rosso and Ryukyu, with Ryukyu desperate to knock Rosso off from their position as top dogs in the Regional League. Fifteen minutes into the second half, however, Tomon Machida - formerly of FC Horikoshi - opened the scoring for Rosso, but a Ricardo Higa free kick in stoppage time tied things up and to the horror of the Kumamoto fans, Ryukyu went on to steal it 5-4 on the penalty shoot-out, winning two points to Rosso's one. The following day, Banditonce were as good as eliminated from the competition. They were comfortably beaten 3-0 by a resurgent Rosso, for whom another ex-Sagawa Kyubin Tokyo man, Masahiko Kumagai, got his name on the scoresheet as soon as the fifth minute. Takeshi Yamaguchi followed suite mid-way throught the second period and Machida grabbed his second goal in two games right at the end. But it was their Okinawa neighbours Ryukyu who booked a place in the JFL, a late own goal giving them a 1-0 win over JEF Amateurs. The competition finished in unexpected fashion on the Sunday, with Ryukyu again requiring penalties to squeeze past wooden-spooners Banditonce 6-5 after a 1-1 draw, in which Wilson Da Silva had put them ahead in 29th minute only for Hiroyuki Iwata to pull Banditonce level with sixteen minutes to go. Rosso, however, were left to scrape through into the JFL with a third place finish after they lost 2-1 to JEF Amateurs, Katsuhiro Suzuki notching a late consolation for the pre-tournament favourites after Danilo and Fujita had put JEF in control. And so FC Ryukyu's success brings a step closer the dream of a truly national J-League, with an Okinawan club established in the JFL for 2006. While Rosso disappointed with their patchy performances in the play-offs, it will nevertheless be fascinating to see how they and JEF United Amateurs - the first ever amateur outfit connected to a J-League club to reach such a high level in the Japanese pyramid system - cope with the higher level of football next season. 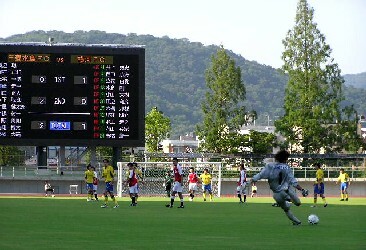 FC Ryukyu, JEF United Amateurs and Rosso Kumamoto are therefore promoted to the JFL for 2006. 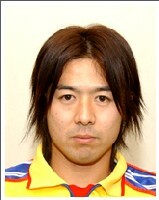 With rumblings of supporter dissatisfaction continuing at Shizuoka FC and Taku Terao's one-man protest at Nangoku Kochi still uppermost in the memory, news comes through that player-coach Shinichi Muto has parted company with Grulla Morioka, following the ambitious Tohoku League side's failure to reach the JFL. No replacement has yet been announced. 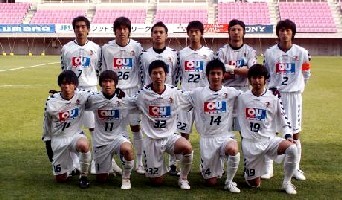 Grulla were formed only at the beginning of 2004 with the express intention of achieving elevation to the J-League by 2008. Taking their cue from other clubs in the northern parts of Honshu such as Albirex Niigata, Vegalta Sendai and Montedio Yamagata - who have all achieved enormous popularity in their home towns, despite patchy results on the pitch - and noting the consistent underachievement of Morioka Zebra, those involved in the setting up of Grulla received a major boost when local lad Muto agreed to quit J1 side JEF United and head back up north to coach and captain the brand new team. They ended up racing to the 2004 title of the local sub-division of the Tohoku League, failing to win only one match and handing out a 14-0 pasting on the way. 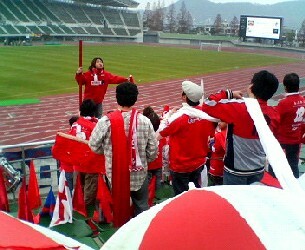 Having thus won promotion to the top level of regional football for 2005, Muto et al famously finished dead level with TDK Akita in this season's Tohoku League Division 1, giving them a place in the Regional League Championship Winners Play-off. But a narrow defeat at the hands of favourites Rosso Kumamoto effectively removed them from contention and means that Grulla will commence 2006 still two steps from achieving their ambition of reaching the J-League. Shikoku League champions Nangoku Kochi have been hit by a major controversy in the wake of their recent failure to win promotion to the JFL via the Regional League Championship Winners Play-offs, which conclude in Okayama this coming weekend. Having lost in the play-offs to both Shizuoka FC and Banditonce Kobe and thus fallen at the group stage hurdle, the club management issued a positively-worded statement saying that it was disappointing to miss out on promotion again, but that they expected to be able to pick up good quality squad members from Shikoku neighbours Ehime FC and Tokushima Vortis during the close season. 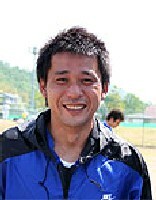 Furthermore, the statement also suggested that the club would be looking at other sources of players such as former JFL side Kokushikan University - who have a longstanding reputation for developing footballers - as a means of countering the regular problem of finding it hard to attract players from outside what is a pretty remote area. All this would obviously be with the intention of making a concerted push for a JFL spot this time next year. Astonishingly, however, this news has been met with stinging public criticism from Taku Terao, a 28-year-old attacking midfield player with the club who has previously played at Chukyo University and indeed in the JFL with Denso. 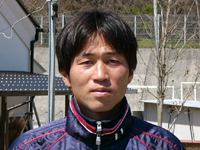 In a remarkable message posted on the official Nangoku bulletin board, Terao bemoaned at length the lack of progress that he perceives as having been made at the club during the five years since he moved there from Chukyo. "There's nowhere to get a proper job here, just part-time and temporary things," he says. "How can Nangoku Kochi hope to attract good, ambitious players to come and play here under these circumstances? The average age of the squad is getting higher and higher, and there's a lack of professionalism among the staff, the trainers and the players as well." Terao, who finished the season third top scorer at Nangoku with eight league goals, goes on to question, "What's changed since I came to the club five years ago - in Kochi, in terms of training facilities or infrastructure? It has to be wondered if the management really want to get promoted - are they aware of what's required to get into the JFL and make a success of it? Because the worst thing would be to go up and then get relegated immediately. So we have to ask if the club is really heading in the right direction - and I'm quitting, to look for a club with a good base in its home town and a good ground. After five years here, I feel like I'm starting from scratch." JFL side Tochigi SC played out a goalless draw in a friendly against J2's Mito Hollyhock on Tuesday 29th November.